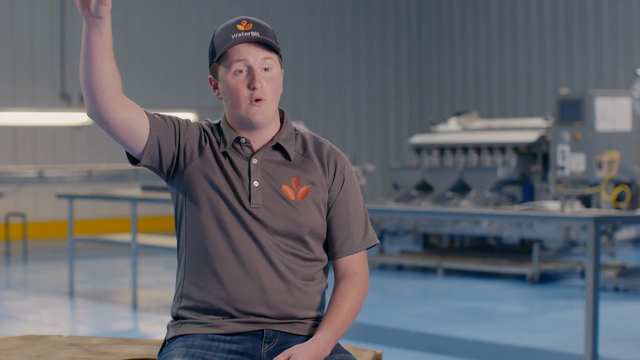 WaterBit and AT&T are helping Devine Organics in their efforts to both conserve water and grow more asparagus in California’s Central Valley. As a family- , woman- and minority-owned business, Devine Organics founder Elvia Devine is driven to grow the finest fruits and vegetables with an eye toward conservation and environmental stewardship. Elvia is one farmer who realizes that efficiency and sustainability must go hand-in-hand. That’s why Devine Organics teamed up with WaterBit and AT&T. 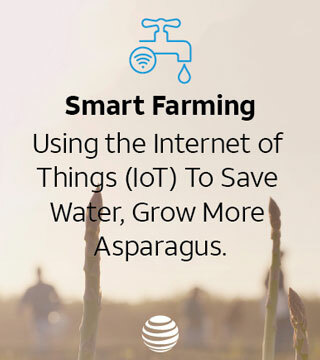 WaterBit installed small, solar-powered sensors across the asparagus fields. These sensors collect information on soil moisture and other field conditions. They require no maintenance and are placed under the foliage, so they don’t interfere with field work and harvests. Data from the sensors is sent to a communications hub that can be thousands of feet away. The hub then uses AT&T Internet of Things (IoT) technology to send highly secure data over the AT&T LTE network to the WaterBit app. There, the information is analyzed to determine if a section of the field needs more or less water, and the farmer can remotely control irrigation from their smartphone, turning valves on and off.